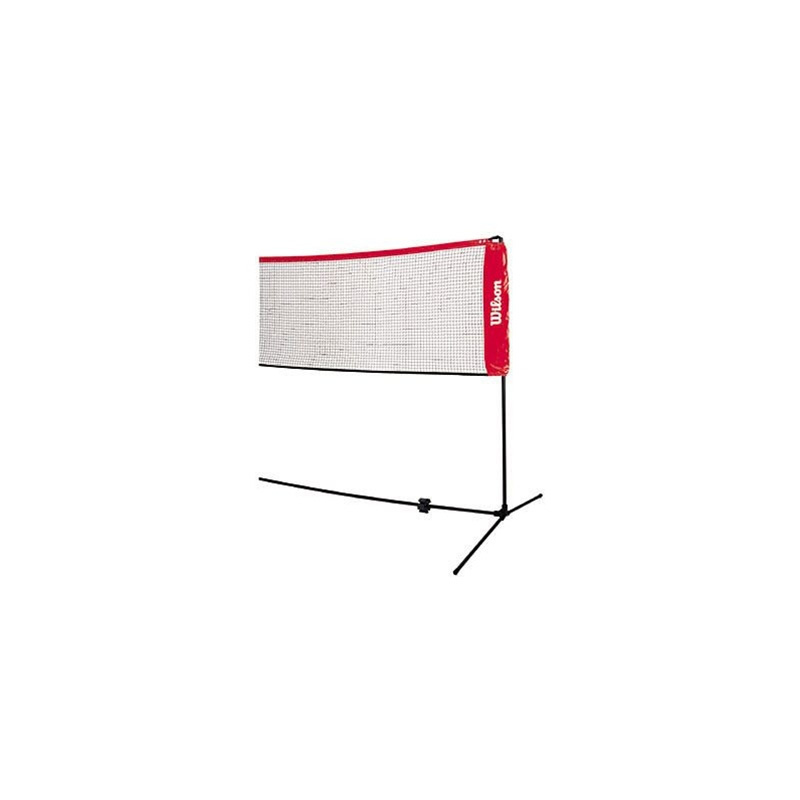 A lightweight portable badminton / tennis net kit that can be set on any flat ground (grass, concrete, gymnasium, etc.). The net set is 10 feet wide which is half the size of regular badminton court. Very easy to assemble and dis-assemble. It took us less than 3 minutes to install the set. Lightweight, pretty sturdy, and very-very convenient. 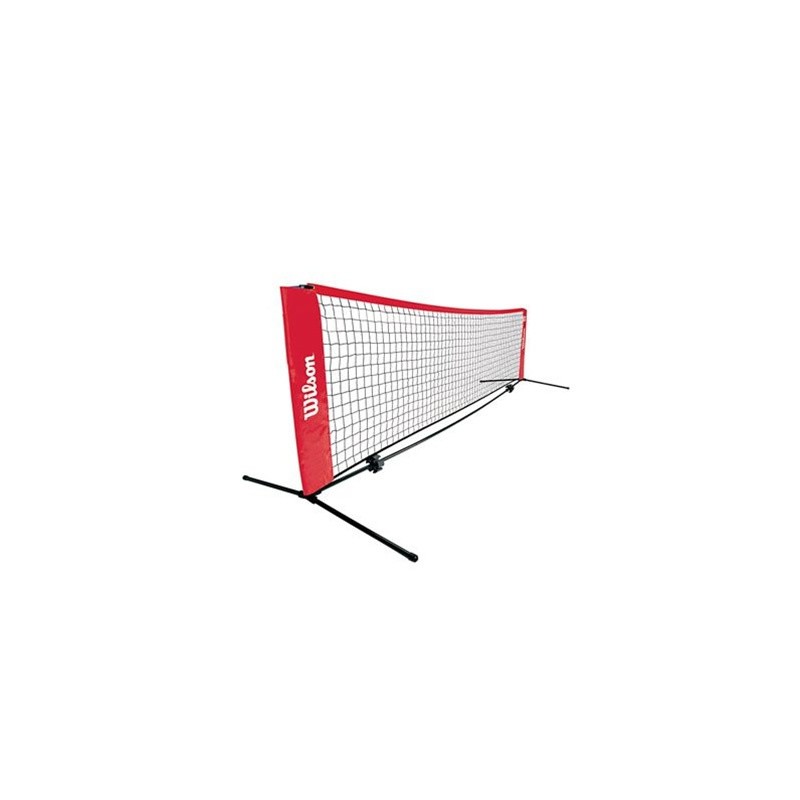 To use for badminton, just raise the end side pole. To use as tennis, lower it down. 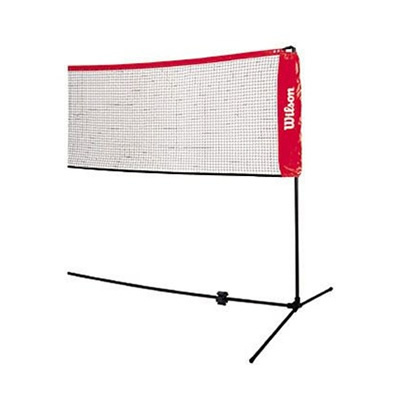 Excellent for those curious outdoor badminton / tennis players who wants to play anytime and anywhere, even in your own backyard. I bought 2 portable net, Carlton and Wilson. Bought this one because it can be used as tennis. Quality pretty good. The Carlton has better material and more sturdy. However, the Carlton cannot be setup for tennis. 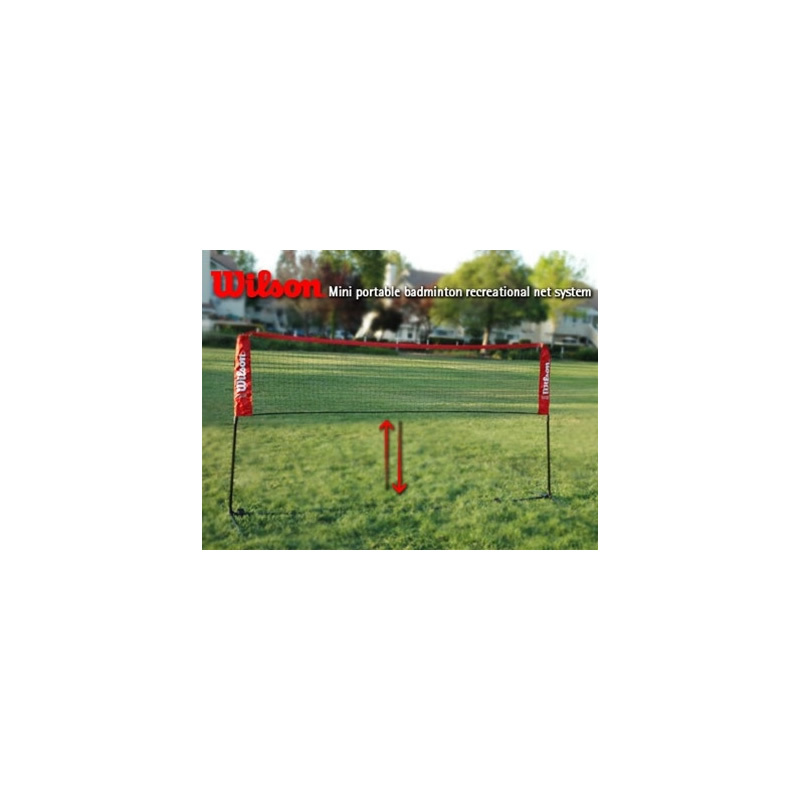 I have been looking for some type of pole/net setup for my kids to play on the backyard. This portable net met that needs and more. The set was very easy to setup and disassemble. The kids love it. They used it to play games such as volleyball (with beach ball), badminton, and dodge ball on the backyard. We had lots of fun last year and buying another one right now for our vacation home for Christmas. Fun and recommended for parents looking for fun games for their kids.